Deeds is introducing a bill to eliminate what he refers to as the double taxation of locally grown meat. Currently, Virginia farmers are charged a 5 percent sales tax when they take their sheep, cow, chicken or hog to the processor. The farmer is also charged a 2.5 percent sales tax when they sell their processed product at market. If Deeds' bill were approved, the farmer would pay just the 2.5 percent sales tax. The bill is in response to concerns raised by Joel Salatin, who owns Polyface Farms in Augusta County. Salatin, an organic farmer, was featured in the New York Times bestseller Omnivores Dilemma. "If we can get this bill passed this session, it will be a boon for Virginia's thriving local food movement," said Peter Jackson, a Deeds spokesman. "More Virginians will be able to enjoy healthy, safe, locally produced and processed meats." This seems like a win-win for Virginia's farmers and consumers. Let's hope it passes the General Assembly in 2009! The bad news just keeps coming in from central Tennessee, where a retaining pond failure unleashed a flood of more than a billion gallons of coal ash sludge. The Environmental Protection Agency now says two local rivers are showing dangerously high levels of arsenic and heavy metals. UPDATE: Wikipedia now has a comprehensive page on the Tennessee coal sludge disaster. You might've missed this over the holidays -- yet more evidence climate change is happening faster than we'd thought. 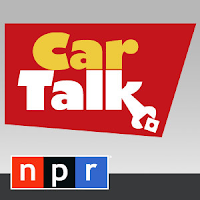 Car Talk's Ray: "I Call on All Non-Wussy Politicians to Stand with Me!" Our economy survived $4 a gallon gas. Now prices at the pump are below $2 a gallon. Economic incentive to buy fuel-efficient cars has faded while funding for transportation infrastructure continues to lag. I think it's an idea whose time has come. I know most politicians have been too wussy to do it, but I think the logic of raising the gasoline tax right now is unassailable. Gas is less than two bucks a gallon. There's never been a better time to do this. If we added a 50-cent national, gasoline tax right now, and gas cost $2.50 a gallon, would that be the end of the world? Hardly. This new tax would generate between 50 and 100 billion dollars every year for the treasury. That money could be used to help rebuild our crumbling roads and bridges, and develop new technologies for more fuel-efficient cars... further decreasing demand for oil. This is a way for us to get on the wagon, and stop sending money to countries that don't like us. We could become energy independent. The other thing that the gas tax revenue could fund is high-speed-train infrastructure between major cities. And who would build all of the new high-tech, high-speed trains we'd need? GM and Ford! We'd help them start a mass-transit division, convert some of those factories from building inefficient gas hogs to building high-speed trains. I'm sick of people whining about a lousy 50-cent-a-gallon tax on gasoline! I think its time has come, and I call on all non-wussy politicians to stand with me, because our country needs us. Politicians love to talk about energy independence, but generally refuse to do the things that would actually encourage us to consume less oil. And if, heaven forbid, someone does take a stand, there's always some pandering political opportunist or talking head ready to slam them for it. I'll stand with Ray. Who's with us? Last night, The Green Miles and some other Virginia bloggers were invited to dinner with Terry McAuliffe, the former Democratic National Committee chairman who's now exploring a run for Virginia governor. McAuliffe brings seemingly boundless energy to the race. Even though he'd just spent over three hours in the car coming back from Virginia Beach, McAuliffe spent 90 minutes talking with us -- then ordered a double espresso and talked for another half an hour. He also threw out some bold ideas to change the status quo in Richmond. McAuliffe wants to eliminate the Dillon Rule, allowing local governments greater flexibility to act without asking Richmond's permission. He also wants to set a mandatory renewable electricity standard. I'm waiting for the candidates to announce detailed plans on energy and the environment before I make any decisions about the primary. But I agree with Not Larry Sabato that McAuliffe's aggressive stands will push likely competitors Creigh Deeds and Brian Moran to keep up. Deeds' environment page recaps about what Creigh has done in the past, but doesn't yet lay out any ideas for the future. Moran stood out in September for his strong speech to the Virginia Sierra Club, but we're still waiting on details. Whether he be Deeds, McAuliffe or Moran, we need a Democratic nominee for Virginia governor who'll advocate bold, specific solutions to lower energy bills and begin to address the climate crisis. Pushing for full implementation of recommendations from the Virginia Commission on Climate Change would be a good place to start. Until then, when you see one of the candidates at a campaign stop, ask him about his plan for clean energy and climate action. Just a quick heads up that State Sen. Chap Petersen, one of the Virginia General Assembly's leading advocates of energy & environment reform, will be taking questions at the Hampton Roads Sierra Club's blog at 2pm today. Potomac Overlook Regional Park will celebrate the winter solstice with a screening of “The World in 70 Acres,” a documentary about the park, on Sunday, Dec. 21 at 2 p.m. The video explores various aspects of the park - its human history, natural setting, programs and activities and also covers educational themes and topics such as energy and earth science. The video's script was written by the park's chief naturalist, Martin Ogle, and is narrated by Keith Tomlinson, manager at Meadowlark Botanical Gardens. The documentary was produced and edited, largely as a volunteer effort, by local videographer David Schneider. The video is short enough (25 minutes) to be accessible and enjoyable for children 6 and older. Refreshments will be served. Also featured will be live music by Jody Marshall, whose hammered dulcimer music can be heard in the documentary. For reservations and more information, call (703) 528-5406. The Vote Energy Smart, not Energy Dumb campaign has endorsed me for the Virginia House of Delegates. Please take a minute to read the full endorsement list at DailyKos and recommend the diary. Let's be honest, anyone who tracks our interactions in the blogosphere will know that we don't always agree and actually had some pretty strong confrontations in regards to the Lieberman-Warner Coal Subsidy Act. But, this is disagreement between the passionate and knowledgeable, arguing over approaches to solving our problems -- not over whether there is a problem to be solved and not over desired end states. Miles would be a knowledgeable and passionable Energy Smart delegate ... in a state that needs a lot more Energy Smarts in its political leadership. When someone who's had strong disagreements with you still respects you enough to endorse you, you know you're doing something right. Via the Natural Resources Defense Council, here's the CEO of Richmond-based Massey Energy going off on a rant about how he thinks all the world's scientists are conspiring with the communists and the atheists to fool us about global warming. Blankenship goes on with his bizarre theories about how mass transit will destroy American capitalism. Or, how dealing with global warming will cause the Chinese to take over and tell you where you have to go to church. Next time you hear someone from the coal industry asking to be taken seriously about "clean coal" or the nonexistent "debate" about climate change, just remember the wit and wisdom of Massey Energy CEO Don Blankenship. Did I mention Massey has given 97% of its contributions to Republicans? We're planning a big kickoff party on Monday for my campaign for the House of Delegates in the 47th district. And given that RaisingKaine.com is toast at the end of 2008, we thought it was about time for an in-person toast the people who made it possible. The event will be hosted by Not Larry Sabato's Ben Tribbett and proceeds will go to Miles Grant for Delegate. Email us with any questions! Why Wait Till June? Vote Miles Grant for Delegate Now. Quick heads up, RK is taking a poll on whether to endorse The Green Miles in the House of Delegates race in the 47th district. If you're a registered RK user, please vote now! The poll is on the left side. After two days of deliberations, the United Nations officials at the UN Framework Convention on Climate Change in Poznan, Poland, agreed to give media accreditation to the DeSmogBlog, the first time in history that the UN has accredited a blog, according to UNFCCC Public Information and Media Assistant Carrie Assheuer. "It was quite the ordeal," said DeSmogBlog Editor Richard Littlemore. "The UN system is set up to accommodate mainstream media and it's not an institution that's designed to be flexible or innovative." Ask The Green Miles: Real Christmas Tree vs. Fake Tree? I don't encourage getting a live tree with roots still attached and trying to re-plant it. Getting a tree to survive a transplant is hard enough, but the cold outdoors-warm house-cold outdoors shock is more than most evergreens can handle. You can see more of my videos and subscribe at my YouTube page. Note: Always call ahead to live Christmas tree farms, you never know when they'll take a year off from selling trees to let the young ones grow. CNN has announced it's laying off its entire science and technology staff, eliminating seven positions. The staffers cut include Miles O'Brien, a pioneer in aggressive broadcast climate change reporting, and widely respected producer Peter Dykstra. As the Columbia Journalism Review's Curtis Brainard writes, "the decision to eliminate the positions seems particularly misguided at a time when world events would seem to warrant expanding science and environmental staff." The cuts are part of a broader trend in the news business -- cutting science reporting positions just as we reach a critical time in our relationship with the environment. We're lucky we have websites and blogs to help fill the void. ClimateProgress.org, Grist.org, The Wonk Room and many others provide more comprehensive coverage than you could get from any broadcast news source. But do those outlets have the resources to send staffers around the country and around the world to provide in-depth coverage? Unfortunately, no. Only the heavy hitters like CNN can do that. And while the network says it remains committed to its Planet in Peril series, the occasional special is no subsitute for continuing coverage. Delegate Bouchard serves on the Governor’s Climate Change Commission. He will be here on Dec. 1, 2008 starting at 5:00pm to take your questions regarding that work, its potential for legislation finding its way into the 2009 General Assembly session, and what he looks forward to seeing happen in Virginia with the Obama administration. Post your questions at the Hampton Roads Sierra Club blog now!